Birds fly high and by. 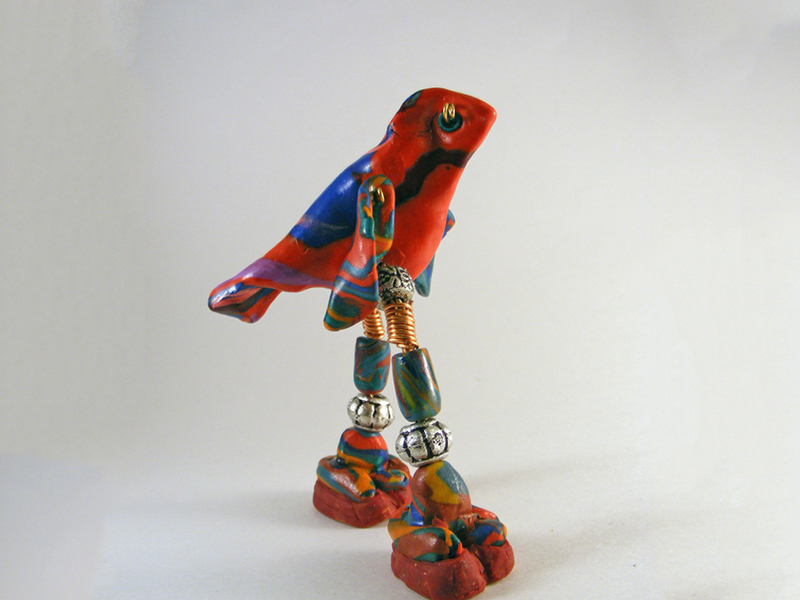 Red Bird stands a proud four inches tall, multicolored polymer clay bird feet firmly planted on terra firma. Wire eyes sparkle, movable wings flap. 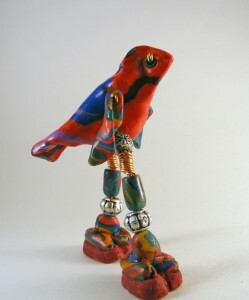 Red Bird is hand sculpted polymer clay and wire, and one of a flock.